Ronnie James Dio will release a new 6-disc box set, “A Decade Of Dio: 1983-1993”, on July 22. Dio went on to release 10 studio albums while earning total worldwide sales of more than 10 million copies. The singer died of stomach cancer on May 16, 2010 at the age of 67. The Ronnie James Dio Stand Up and Shout Cancer Fund, co-founded by Wendy Dio, carries on the rocker’s legacy as a non-profit charitable fund dedicated to supporting cancer-prevention research, raising awareness and educating the public about the vital importance of early detection and prevention when dealing with this deadly disease. 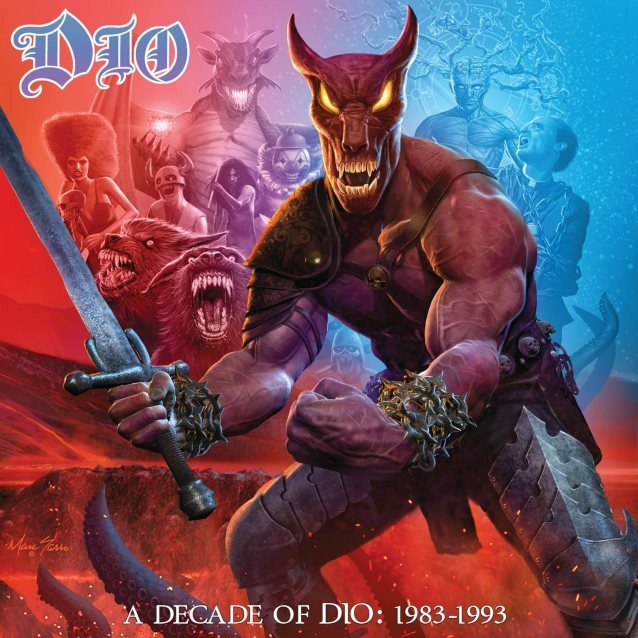 "A Decade Of Dio: 1983-1993"